Natural Touch Fabric Refresher is a unique carpet, clothing and fabric refresher. Utilizes an oxidizing catalyst to eliminate odors. 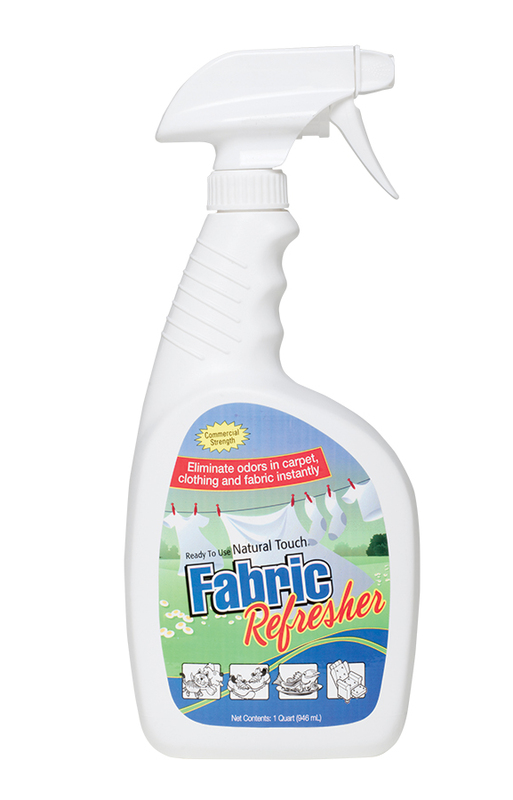 Natural Touch Fabric Refresh contains a patented odor elimination agent that can be used by anyone trying to eliminate odors due to smoke, mustiness, urine, cooking odors, etc. Safe to use on carpeting, clothing, furniture, drapes and any other water safe fabric. Applications: For use on carpet and upholstery in automobiles, hotels/motels, hospitals, nursing homes, restaurants, etc.